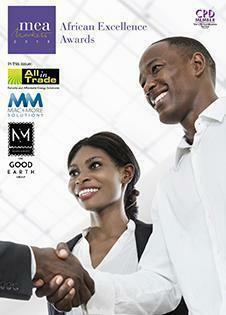 MEA Markets magazine are delighted to announce the return of the African Excellence Business Awards. With this platform, we are looking to reveal industry leaders from the varied industries markets and sectors from across the continent. Although the economy is fluctuating we believe in Og Mandino’s words: 'always seek out the seed of triumph in every adversity'. Looking to showcase the most outstanding businesses from across, but not limited to industries such as, energy, agriculture, mining and tourism to the uncovering the innovators in disciplines like banking, technology & real estate development, our award platform is the perfect place to display your success. Regardless if you are a one-person business or a multi-national corporation, we look to award the most deserving businesses and individuals based on the merit and quality of their products and services offered over the past 12 months meaning everyone has an equal a chance. If you believe you, or someone you know, deserves to be recognised, please let us know by submitting a nomination via our voting form below.